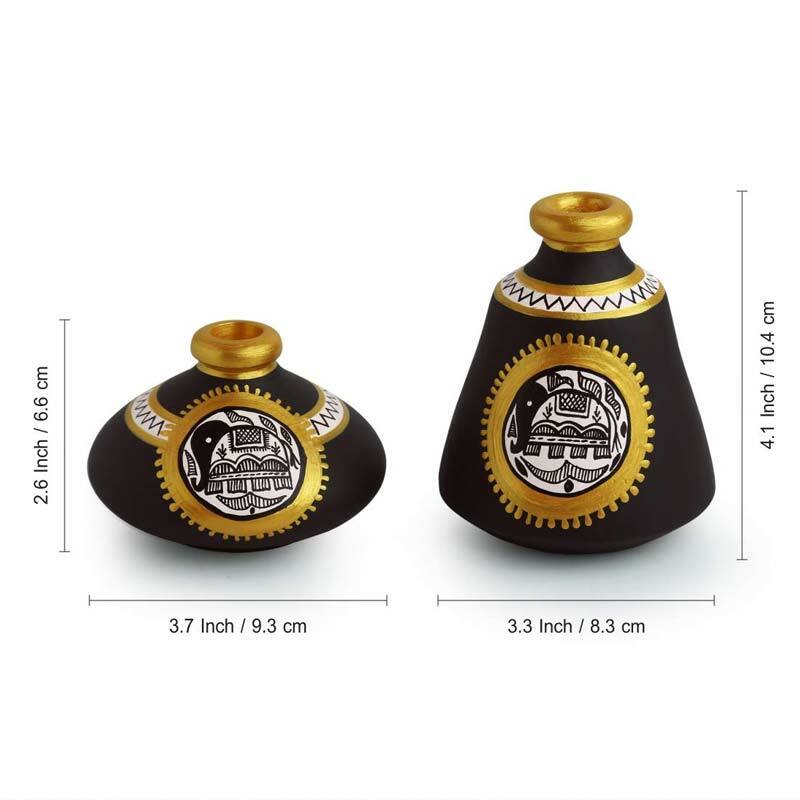 Please refer to the dimensions before making a purchase. These are small miniature/mini terracotta pots. Note: Cannot be used with water. UTILITY: Can be used as a showpiece for table & shelf decor. 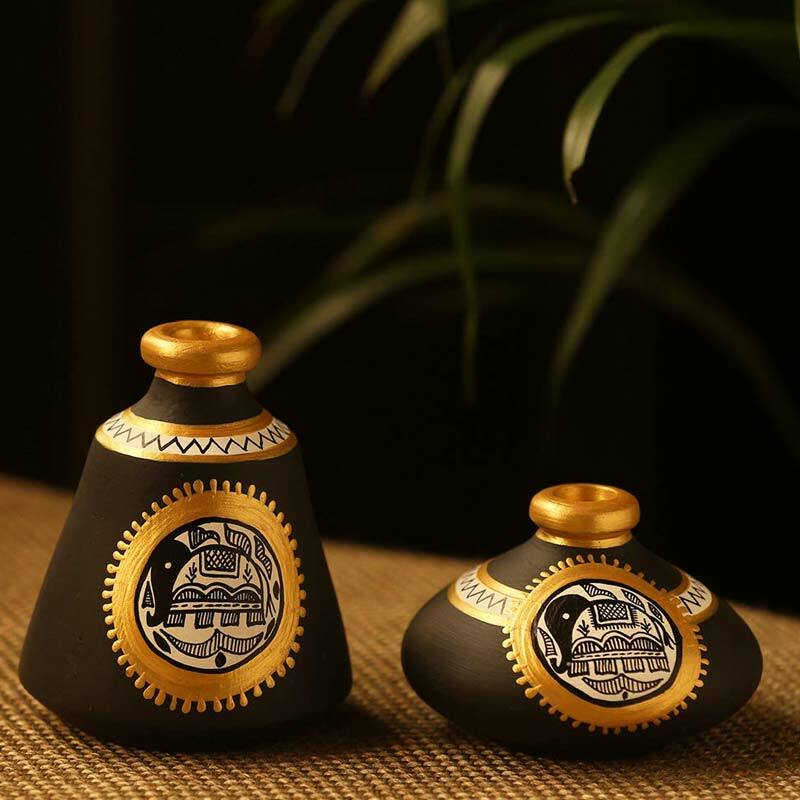 Skilfully handcrafted in terracotta and hand-painted with delicate details by artisans from the interiors of India, ‘Tiny Twins’ is a set of two beautiful assorted miniature pots, that also doubles up as an ethnic tabletop accessory.